Isabella’s discovery comes at a price and her husband Oliver has the task of keeping the priceless object safe. The plot sees Oliver up against the odds as a shadowy enemy and powerful cult pursue the astrarium with often fatal consequences. This is a world of conspiracy, Egyptology and sorcery. Oliver finds himself at the centre of a race where the modern and ancient worlds collide. Learner has created a novel of suspense, mystery and intrigue. I must say this is an over familiar story: ancient artifact or Macguffin is found and everyone wants it. Cue lots of chases and action. It is on ‘Indiana Jones’ and ‘Tomb Raider’ territory. Oliver Warnock like so many central protagonists in these kinds of books is a world weary pragmatist, a geophysicist working for an oil company. He is inevitably drawn into the dark, murky world of his more passionate, free-spirited wife. Despite a familiar plot and themes Learner has managed to craft vividly drawn characters and has set their story against the interesting backdrop of Sadat’s Egypt. She has clearly done her homework, her research of Egyptian history is meticulous although at times it does feel like she is at pains to show the reader that she has done so at the expense of the novels overall pace. 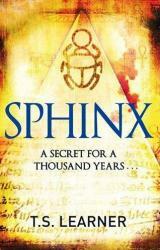 At its best it measures up nicely against contemporaries like Dan Brown, JL Carrell, Glenn Cooper and Tom Knox. At worst it can drag in places and lose its way at times in its quest for authenticity. I think once readers have been informed of a novels setting they can buy into it; they do not need to be reminded endlessly of socio-economical conditions, history and politics. The occult aspects of the story are dealt with well and it reads like an old Dennis ‘The Devil Rides Out’ Wheatley yarn. In fact this is exactly the kind of novel that would be adapted for film by the old Hammer Studios. Hermes Hermeides is a well drawn wonderfully eccentric character and the book is bustling with Egyptian and Western characters and the reader is kept guessing on who is to be trusted or not. The reader can sense Oliver’s increasing apprehension and paranoia as he delves deeper into the mystery of the astrarium.